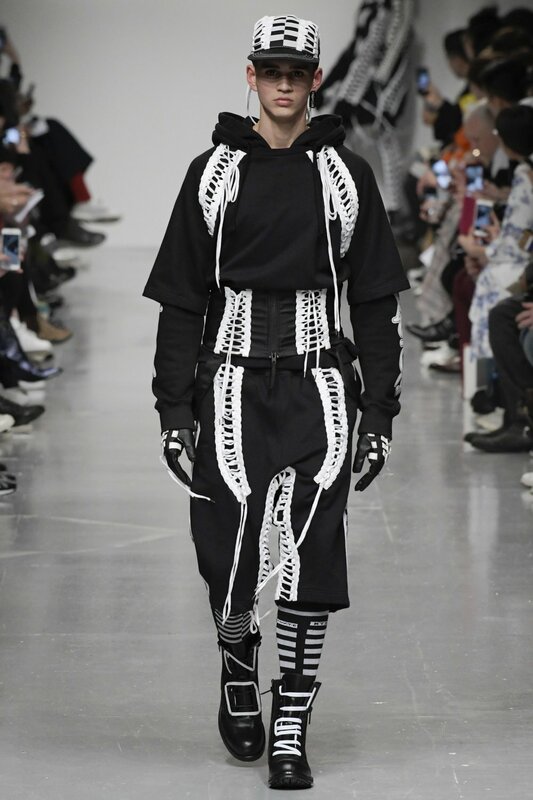 I'm in love with the fact that KTZ has shorts that look somewhat like a skort; AND, also the fact that they had some male models wear knee-length skirts. Uh-may-zing. 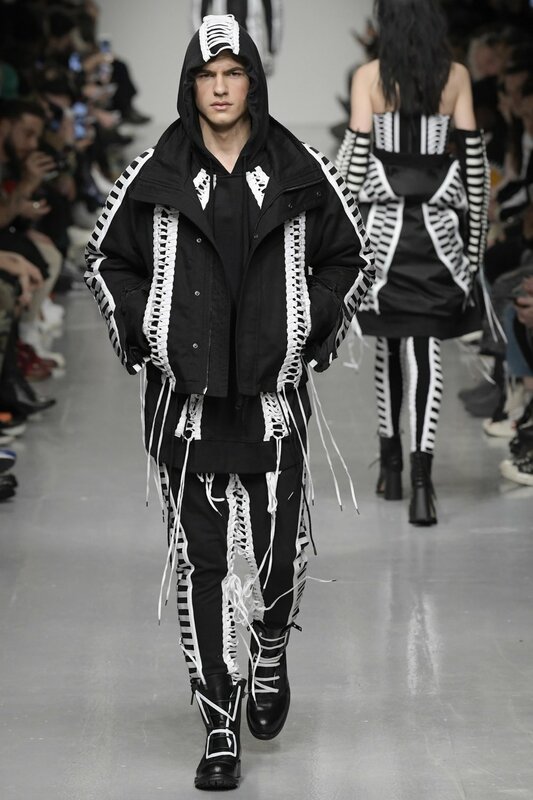 I know KTZ isn't the first designer to design skirts for men, but these edgy skirts that the models were wearing actually made them look more masculine.